The great APPEAL of a CHARMING land. The ideal starting point to visit some of the most charming places in the world, then to come back at the hotel and feel at home. 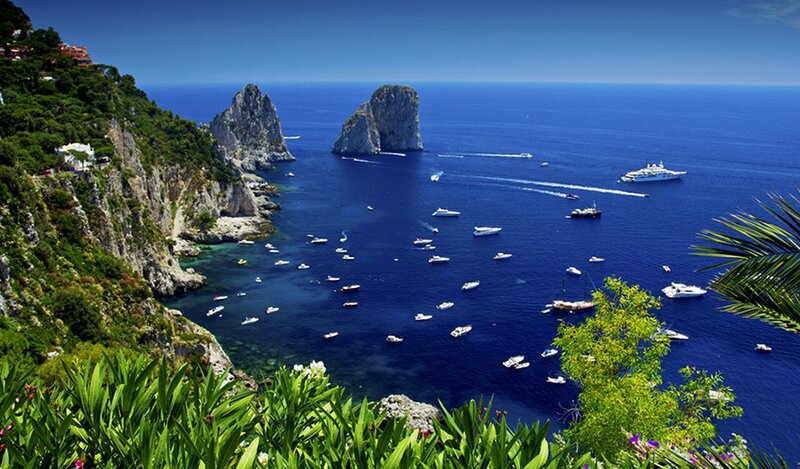 “Capri, queen of rocks, in your amaranth and lily coloured dress I lived developping the happiness and the pain, the vineyard full of splendid bunches that I conquered on the earth.” This is what the great poet Pablo Neruda wrote of the island which, since 1950 hosts thousands of visitors daily. 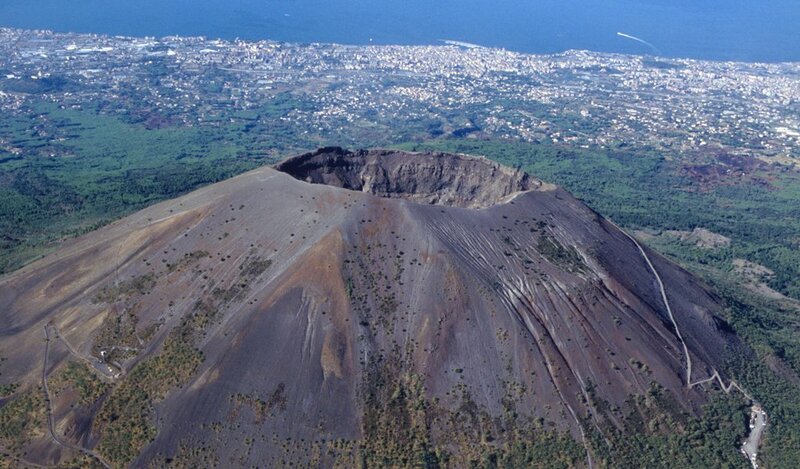 With its natural beauties it is one of the main attractions in Campania. 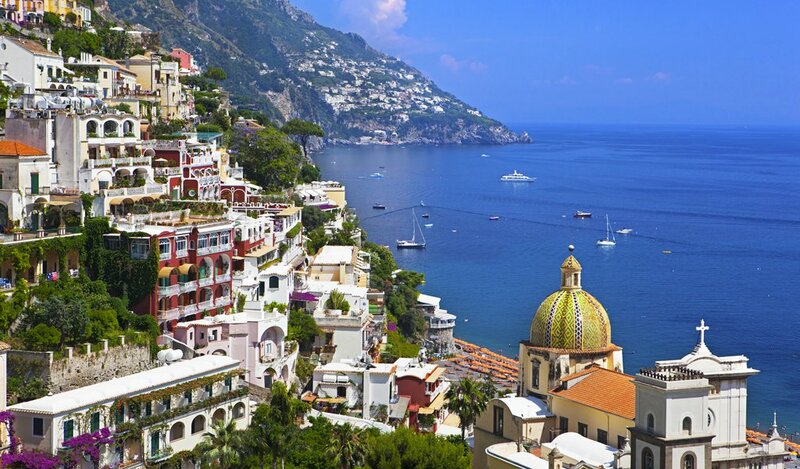 The many small villages facing the sea, the hanging gardens and the monasteries strung along the indented coasts of the Gulf of Salerno, all this makes the “Divine Coast”, destination of tourists from all over the World looking for enchanting places. Everything lies sunken by flames and dark ashes: the gods would have desired that such a destruction wouldn’t have been allowed to them”. 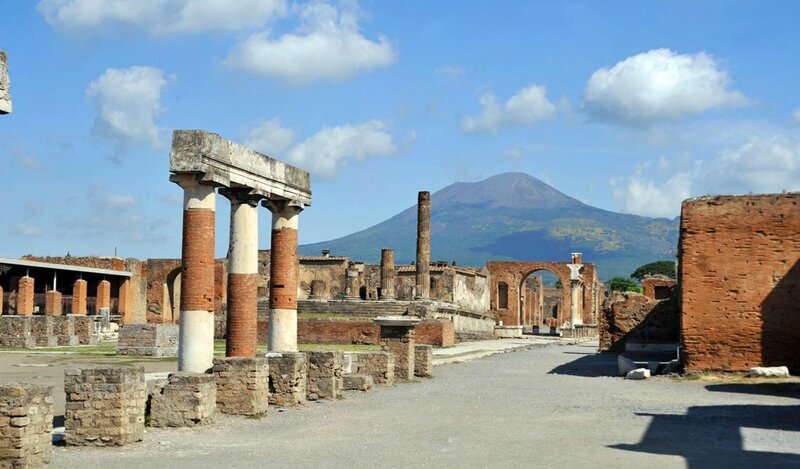 Thus Martial describes the historical places buried by the eruption of Vesuvius in 79 a.C. The archaeological sites are of a World wide historical interest for the information they give us about uses, customs and traditions of the ancient Roman civilization. 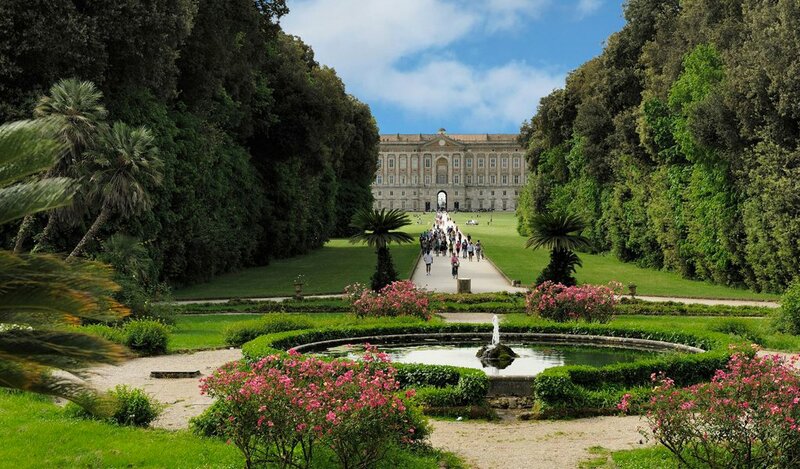 Belonged to the Royal Family of the Bourbon dinasty of Naples, who entrusted the famous architect Vanvitelli with its construction, the Royal Palace is still nowadays among the most visited monuments of Italy. Besides its natural conformation and the historical heritage which make this island a preferred destination, most of its success stemmed from the many thermal springs mentioned by Greek and Latin writers. 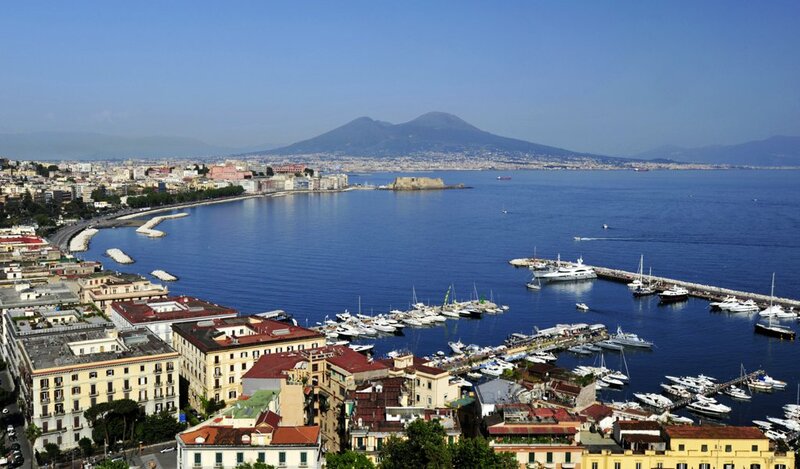 Unmistakeable symbol of Naples, Vesuvius overlooks the Bay majestically. It is possible to climb right to the highest peak of this volcano, one of the most famous in the World, by guided tours. 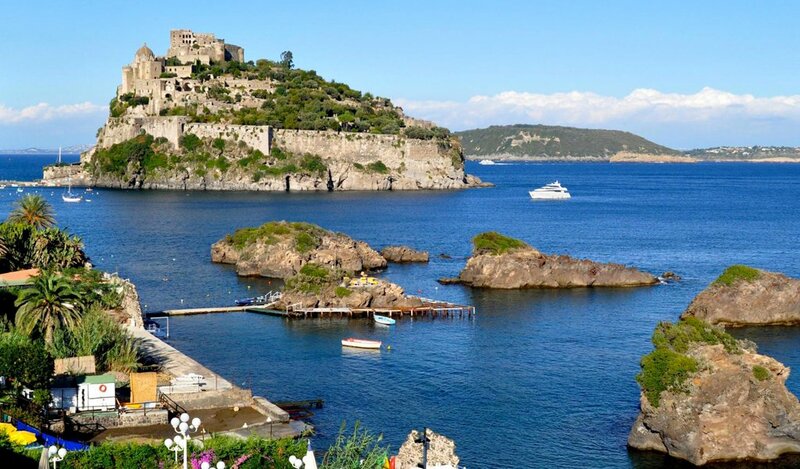 Capital of the Kingdom of the two Sicilies, this City offers its tourists various aspects, from the historical-cultural afforded by its churches, museums and monuments, to that naturalistic interest provided by the surrounding landscapes. Not to be missed: the Church of Santa Chiara, the Sansevero Chapel and the Excavations of San Lorenzo, the Carthusian Monastery of San Martino, the National Archaeological Museum and the Museum of Capodimonte. For all the above mentioned excursions , please apply to our Concierge to get further information also about private tours, timetables and rates.